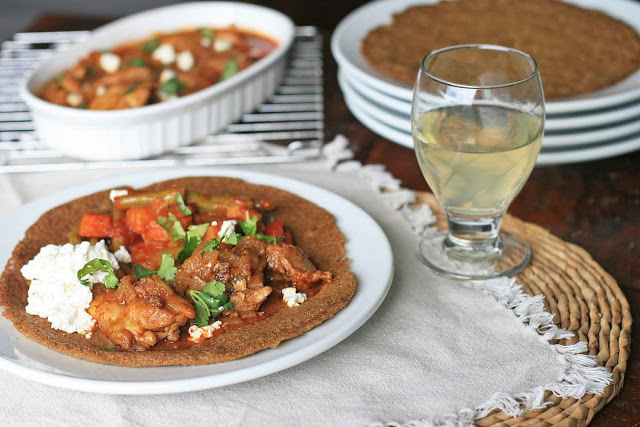 If you’re looking for traditional injera, you might want to look elsewhere. Making injera is truly an art form and it requires patience, a lot of practice, and special equipment. 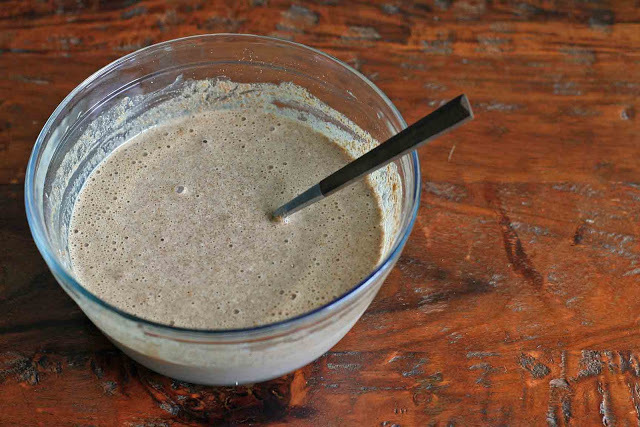 Made from teff flour, injera requires a lengthy fermentation to get its trademark tang. They’re also made so large that they become like a huge plate or tablecloth that various dishes are heaped upon. Diners are supposed to rip off a piece and use it to scoop up the food. If you’re having a flashback to either Homer’s Odyssey or the movie Along Came Polly, you’re not alone. For those who prefer instant gratification and don’t have a giant crepe maker-like contraption, this recipe is for you. The teff flour is balanced by some other gluten-free grains, baking soda provides instant leavening, and yogurt adds a sour tang. It might not be traditional, but it did the trick for me. Make a fresh batch and use it to scoop up some Doro W’et sauce; you’ll understand what the fuss is all about. 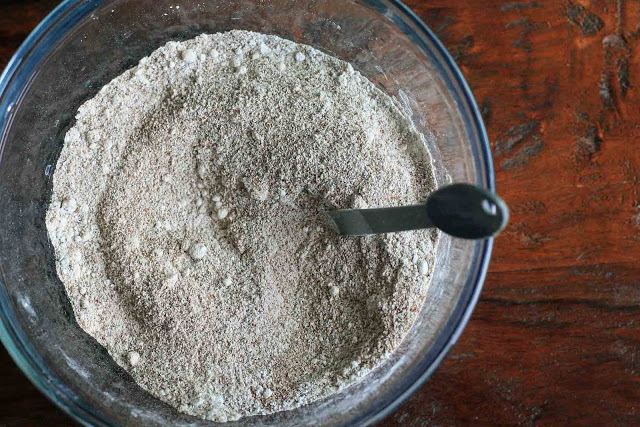 Combine the teff flour, rice flour, sorghum flour, baking soda, xanthan gum, and salt in a large bowl. 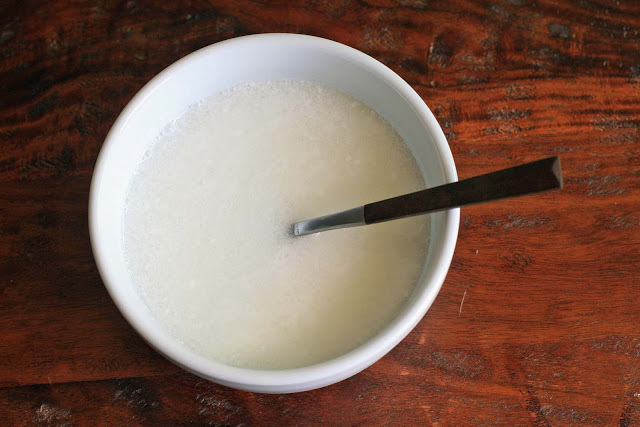 In a separate bowl, whisk the yogurt into the club soda and then pour into the flour mixture to make a smooth, thin batter. Grease a large skillet with ghee or oil and heat the pan over medium-high heat. Pour about 1/2 cup of the mixture into the center of the pan and swirl the pan to distribute the batter. Cook for approximately 30 seconds and then cover. Cook an additional 30 seconds until the injera is cooked through. Remove to a plate and cover with a cloth to keep warm while cooking the remaining injera.